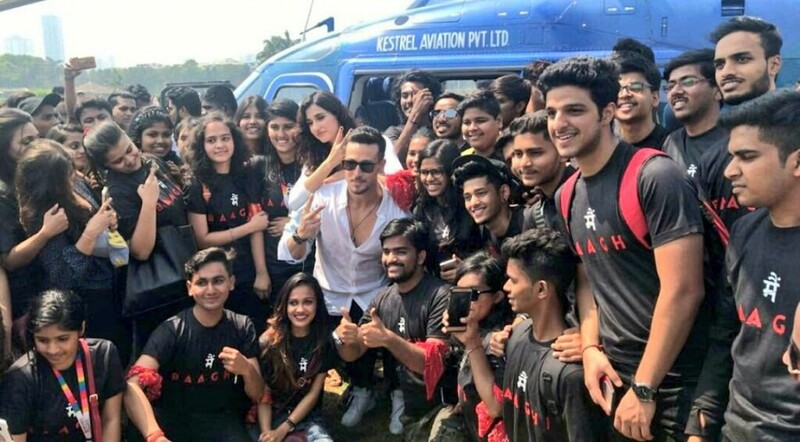 A total of 150 Baaghi fans who came to meet the actors at the race course, Tiger and Disha with their fans had tied a red bandana. Tiger Shroff and Disha Patani made perfect Baaghi appearance for their trailer launch today. 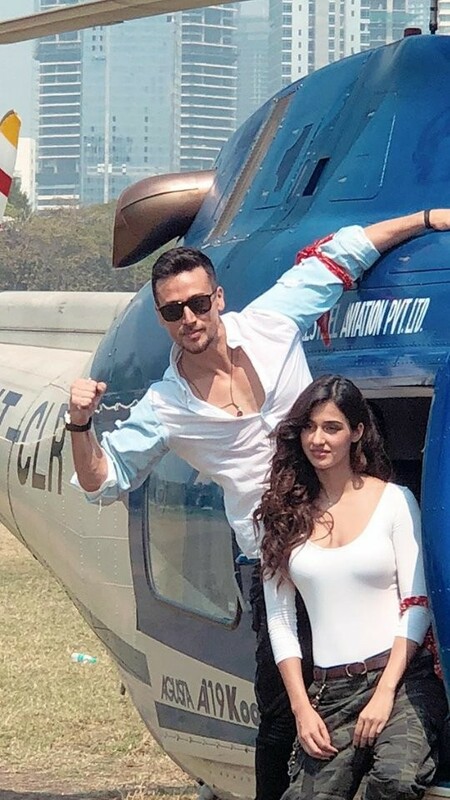 The two chose to make an unconventional entry by landing in a chopper at Mumbai’s Racecourse before the trailer release of their upcoming film Baaghi 2. The film is said to have an elaborate helicopter sequence, keeping that in mind, the duo made an action-packed entry for their fans. Bandanas were given to all the fans who came to meet the actors as a sign of rebels and Baaghi.